Entrepreneurs should not run their business purely based on love or passion for their product or services. For instance, you are passionate about baking cookies but when you turn this into a business, you need to develop skills which brings you sustainable profit. Your passion for baking will slowly dissipate if your business is incurring constant loses. Similarly, when you plan to start your own business, you should be familiar with specific financial terms. This way, you have a clear understanding of your business’ financial status along with the potential effect of transactions on business. Irrespective of the nature of your business, capital is a fundamental requirement of every business. The owners or directors can bring in the initial capital for the business. But, as your business grows you might need additional funding which you can acquire through alternative finance. Sometimes you just need additional working capital to keep the business going/operational., Therefore, when you are about to start your own business make sure that you have adequate capital. In the simplest form, asset is a valuable item that belongs to either you or your business. It is a tangible or intangible form of value which adds to your business. For example, you can consider machinery, land, building, cash, etc. of your business as tangible assets whereas goodwill, patent, etc. are considered intangible assets. The net assets which belong to you have the potential to build your reputation in the market and also have an effect on your balance sheet. Tangible assets can be sold to generate money if the need arises. Liability is what you owe to business partner or other business entity. In the process of business there are instances where you create debts from business, banks, etc. There are different types of liabilities- short term which is known as current liability or long term liability like loans. Interest rates are charged on liabilities and hence it is important for you to figure out the rate being charged. While this is an important financial concept it can be tricky to understand at times. This concept teaches you how to multiply your earnings in the long run. Entrepreneurs must know the amount you are entitled to receive after calculating compound interest on your principal amount. This amount has a significant impact on your retirement planning. Planning for your retirement at a young age offers more room for savings. This statement gives you an accurate update of the cash coming in and out for your business. A cash flow statement is maintained for a specific period and a new statement is created in every financial year. .. This statement is a gist of cash transactions that your business has experienced during a particular financial year. This statement is beneficial to the owners as well as investors. The financial statement of an organisation helps you to evaluate the previous and current position of the company. It helps owners and investors analyse and compare previous year statistics to this year. The name itself describes what the sheet consists of which is the profitability of your company. The statement displays income generated and loss incurred in a particular financial year or for a certain period. The statement is analysed quarterly to analyse whether the company is gaining profits or incurring loss. Balance sheet is the net value of the business wherein all assets, liabilities, expenses, losses, income, gains and revenue, debtors, creditors and goods are evaluated. It is a net worth that the company has gained/lost during a particular financial year. This statement depicts all losses, liabilities along with gains and revenues generated which helps you to frame a financial strategy for the next year. It also prevents you from repeating your mistakes made in the past by showing you loss incurring transactions. You get a clear idea of additional capital required by your firm (if any). It also reminds you to get rid of liabilities from the previous financial year. There are many other financial concepts which you must be familiar with apart from the ones mentioned here but these are the most essential ones. As you spend more time running your business you will get to know more about it. 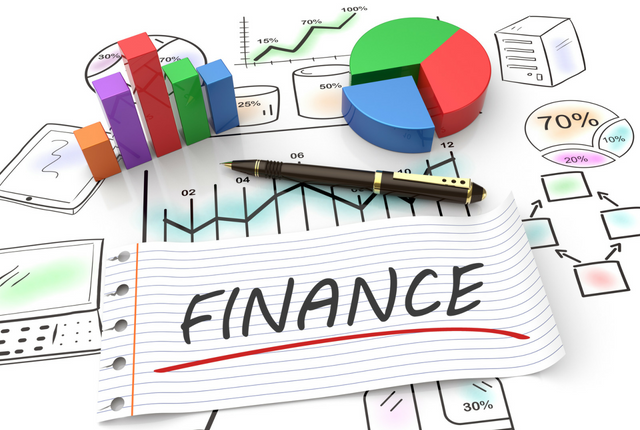 You can always seek assistance from a financial expert as and when required.